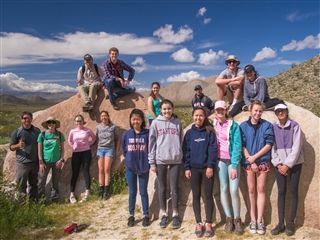 While hordes of people are flocking to Anza Borrego to view the superbloom of spring flowers, the astronomy club camped there recently to see the stars. On March 25, 14 students went on an overnight camping trip to the desert, where they star-gazed under a clear night sky, free from light pollution. Students saw Jupiter and its moons and watched Mercury set. During the day, they enjoyed wilderness hiking and wildflowers.